Skylar Williams and Ty'rell Pounds shared a child and a violent past. Earlier this week, authorities launched a massive manhunt after an Ohio State University student was reportedly abducted at gunpoint by the father of her child. 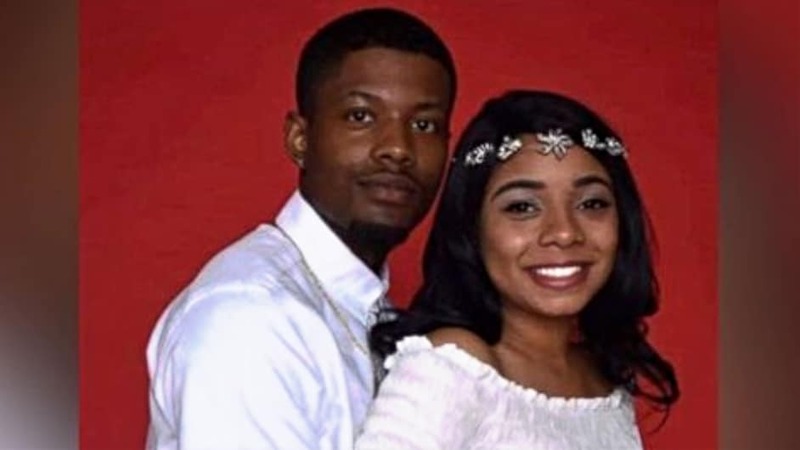 According to the WMFD, Monday morning, Skylar Williams was allegedly kidnapped at the college’s Mansfield Campus after she was suspected to have been forced to get into a car by Ty’rell Pounds. Ohio police immediately started looking for Pounds, who is believed to have abducted Williams after tensions boiled over in a custody battle over their son. At approximately 11:45 in the morning, the 23-year old father allegedly approached his child’s mother on the Ohio State University campus parking lot, produced a handgun and told her to get into his vehicle. After forcing her into the car, he then sped off, but his vehicle was later discovered, abandoned. The young man then stole a minivan at gunpoint before disappearing again with his captive. Various law enforcement agencies are investigating the case, including the Ontario Police Department and the OPD Drone Unit, the Ohio State Highway Patrol, and the U.S. Marshals. “Our Ohio State community suffered a tragic loss with the death of Mansfield student Skylar Williams. This senseless and shocking incident has left our campus shaken. We join Mansfield Dean Norman Jones in expressing our condolences and deepest sympathies. Our thoughts and prayers are with Skylar’s family. “Additional counseling and consultation services have been made available to members of the university community in need of support on our Mansfield campus. Mansfield students can utilize the Student Assistance Program [newdirectionsforlife.com] and support services are also available to students, [ccs.osu.edu] faculty and staff [hr.osu.edu] across the university. Students across campus have been shaken up by the incident. “I was scared, just that something like that could happen here on this campus,” said Chelsea Heintz, one of the 1,100 students who got an alert about the abduction on her phone. The police issued an appeal to the public, asking anyone who may have spotted a dark-colored 2019 Dodge Caravan to come forward. Later that same day, Kentucky police said they responded to a call about a “distressed” female, suspected to be Williams, who looked like she was being forced into a vehicle by Pounds at a gas station in Gallatin County. When police spotted the vehicle, a car chase ensued southbound on Interstate 71 to Oldham County. Police intervened when the vehicle exited the highway and ignored responding units. Shortly afterwards the car stopped on a ramp. A trooper heard gunfire coming from the vehicle and returned fire in response, which resulted in the death of Pounds. Williams was struck by at least one round of gunfire, but it remains unclear whether it was the responding officer or Pounds who fatally shot her during the dramatic shoot-out. Like many other cases involving domestic violence and abuse, Williams reported that she had been sexually assaulted by Pounds in September 2018. A police report from Jan. 3, 2019, revealed that this was not the first time he tried to kidnap his son’s mother. The time before happened at a local gas station. Williams previously told police she filed an order of protection against Pounds.